To accelerate and guide the adoption of a software-as-a-service (SaaS) delivery model on Amazon Web Services (AWS), we launched AWS SaaS Factory in 2018. 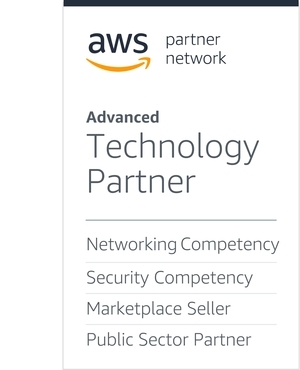 This program offers AWS Partner Network (APN) Partners a comprehensive set of business and technical best practices, as well as engagement opportunities that empower and support independent software vendors (ISVs) building SaaS offerings on AWS. Recently, we had a chance to work with F5 Networks and help build their first SaaS solution on AWS. F5 is an APN Advanced Technology Partner with AWS Competencies in both Security and Networking. F5 helps organizations meet the demands that come with the relentless growth of voice, data, and video traffic, mobile workers, and applications—in the data center and on the AWS Cloud. If you want to be successful in today’s complex IT environment, and remain that way tomorrow and into the future, teaming up with an AWS Competency Partner like F5 is The Next Smart. The AWS SaaS Factory team sat down with Craig Kitterman, Sr. Director of Product Management at F5 Cloud Services, and Yaniv Shemesh, Chief Architect at F5 Cloud Services, to learn about what they’re launching and how it benefits customers. We also asked what advice they have for other APN Partners building SaaS solutions on AWS. F5 Cloud Services is a set of enterprise-grade application delivery and security SaaS services that are optimized for cloud-native applications and microservice environments and consumed as a utility through a pay-as-you-go model. SaaS Factory: Can you tell us about your background and personal experience with cloud computing? Craig Kitterman: I have been working with server-side application technologies for most of the past 20 years, with the last 10 focused specifically on cloud computing and developer tools at Microsoft in the Azure business. I’ve held several roles during this time across engineering, program management, product marketing, and product management. At F5, I have the opportunity to lead Service/Product Management & Service Marketing for our new Cloud Services division, which includes everything from user experience to go-to-market (GTM) strategy. SaaS Factory: What products and solutions has F5 built on AWS? Craig Kitterman: We have a number of solutions running on AWS, but we are thrilled to launch F5 Cloud Services, our first SaaS offering on AWS. We very much enjoyed tight collaboration with AWS SaaS Factory and AWS service teams in this effort. To optimize outcomes for customers adopting SaaS models, our development team worked closely with the AWS Solution Architects in AWS SaaS Factory workshops to incorporate AWS services, common patterns, and best practices of the SaaS Enablement Framework (SEF). The key benefits to us were going much faster than we could otherwise, tight go-to-market (GTM) integration with AWS Marketplace, and instant global reach for our services. SaaS Factory: How does F5 Cloud Services work? Craig Kitterman: F5 Cloud Services are built on top of battle-tested F5 technologies. These services are designed for application developers and DevOps teams who want to move incredibly fast. We have a simple portal user interface (UI), as well as a full set of APIs, so it’s really up to the user how they want to provision and configure services. SaaS Factory: What was the opportunity for customers? Craig Kitterman: Our customers have relied on F5 appliances for critical networking services to support application delivery for decades. As customers shift their apps and services to the cloud, we want to provide the most flexible set of consumption models and wide range of application delivery and security services that cater to cloud-based deployment trends. We also want to create new opportunities for application developers and DevOps teams to provision, configure, and manage services without having to have a Ph.D. in security or network operations. SaaS Factory: How does F5’s solution address this for customers? Craig Kitterman: We provide cloud-native services that support application delivery and can be used standalone or integrated with F5 services found on-premises. Our cloud-based services provide more options for a customer’s IT organization and application teams to better facilitate application delivery in the local data center, public cloud, or hybrid cloud architectures. We recently launched our secondary DNS Cloud Service into AWS Marketplace, as well as the preview instance of our Global Server Load Balancing (GSLB) service. We are moving very quickly toward a spring release of additional application security services covering a number of anti-Bot and WAF use cases. SaaS Factory: Can you walk us through the architecture? What AWS services are key? Yaniv Shemesh: F5 Cloud Services has a high-availability global control plane that deploys our service engines to AWS Regions around the world. This enables our data plane components to run as close as possible to customers’ workloads, minimizing overall latency. We have deployed a common service framework that each of the individual services sits on top of and handles things like our portal, API services, user management and access control, and billing. This common service framework enables us to innovate rapidly on new services and get them to market fast. All of this is built on top of a variety of AWS infrastructure services, such as Amazon Elastic Compute Cloud (Amazon EC2), Amazon Simple Storage Service (Amazon S3), Amazon Elastic Block Store (EBS), AWS Lambda, and more. SaaS Factory: What are some of the key customer benefits? Yaniv Shemesh: With this architecture, our agile engineering approach, and our close partnership with AWS SaaS Factory, F5 Cloud Services will be introducing new services at an accelerated cadence. As an illustration of this approach, we just released our secondary DNS Cloud Service into general availability (GA) in AWS Marketplace, our Global Server Load Balancing (GSLB) Service into preview, and later this spring we will release new security capabilities including web application protection from both human and automated attack vectors. SaaS Factory: What technical challenges did you face building this SaaS solution on AWS? Yaniv Shemesh: While we are always trying to push the boundaries of innovation, sometimes our product roadmap doesn’t line up precisely with AWS’ roadmap. A key issue we faced was related to understanding how we could leverage upcoming AWS Network Services to deliver F5 in-line services such as WAF. Some of these capabilities aren’t quite ready for us to meet our timeline objectives. SaaS Factory: What support did AWS SaaS Factory provide your team? Yaniv Shemesh: The AWS SaaS Factory team was very responsive and collaborative. Their engagement included educational workshops and serving as a critical communications bridge into AWS engineering teams, which helped us find workarounds for some of the issues we faced. In the case of the F5 DNS Cloud Service, we needed to load balance traffic in unique ways to distribute load to our Kubernetes-based data plane DNS server nodes. The AWS SaaS Factory team connected us to the right team at AWS to get an early-access version of AWS Network Services, enabling us to stay on track to complete the integration. AWS SaaS Factory was also instrumental in training us on the AWS Marketplace integration, which aided our team in bringing services to market faster and more efficiently. SaaS Factory: What would you tell others planning to build a SaaS solution on AWS? Yaniv Shemesh: We saw SaaS as an immediate opportunity to deliver additional value to existing customers and generate new revenue opportunity. We quickly spun up a product team to accelerate the development of our SaaS offering, with the stated goal of providing enterprise-class application and security services for any application running anywhere. We want to enable DevOps teams to move incredibly fast, while at the same time take advantage of F5 technologies previously only available in a hardware form-factor. SaaS is still in its infancy, but F5 closely collaborated with AWS SaaS Factory to build our SaaS platform from the ground-up, and we will continue to tune our SaaS platform and iterate fast to respond to customer input. APN Partners are encouraged to reach out to their account representative to inquire about additional engagement models, and to work with the AWS SaaS Factory team. ISVs that are not APN Partners are encouraged to subscribe to the SaaS on AWS email list to receive updates about upcoming events, content launches, and program offerings.